THE prevailing liquidity challenge in the economy is a temporary phase that should not distract industry focus on improving productivity. Industry and Commerce Deputy Minister Chiratidzo Mabuwa said this during a tour of PPC Zimbabwe's Colleen Bawn plant on Thursday where she revealed the Government was putting in place measures to bring the biting cash shortages that have swept across the country to an end. She was responding to concerns by plant manager Mr Allan Tshabangu and PPC Zimbabwe managing director, Mr Kelibone Masiyane, who reported that the liquidity crisis in the economy was crippling their operations as the company was struggling to procure critical spare parts and other accessories from outside the country. "The liquidity challenge is a very temporary phenomena and setback, but plans are in place to cross over that. In the meantime let us work together to find interim solutions," said Deputy Minister Mabuwa. She said big corporates like PPC, which have operations across the African region, should not be complaining much about liquidity issues as they have the leeway to engage their subsidiary factories abroad to extend foreign exchange to bridge the financing gap in cases of emergency. However, Mr Masiyane indicated while such arrangements could be made, the local unit still needed to pay back such funding and was having challenges in clearing such arrears on time because of the continued challenge. As a result of cash shortages, Mr Tshabangu said the firm was failing to procure key imports such as fuel and explosives on time, which affected their ability to meet set production targets. He said liquidity constraints formed part of the top five challenges affecting the company and morale of workers. These also include inconsistent power and water supplies as well as environmental compliance costs that add up to the cost of production. Deputy Minister Mabuwa said the Government was aware of the concerns on costs of production, which would soon be addressed by the newly established National Competitiveness Commission. She commended PPC for adopting alternative methods such as recycling water for plant use and urged the firm to consider investing in energy production for future benefit. "On costs of electricity, while we negotiate with Zesa to put affordable industrial rates we are also encouraging entities as big as PPC to look into investing into alternative sources. I know hydro is suitable for their operations but there is no harm investing in other sources like solar for example. Solar energy now can be produced to national grid and then supplied to needy areas. 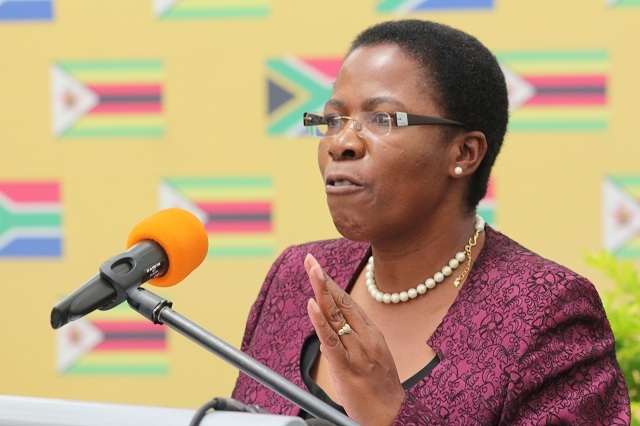 So they should do investment into horizontal value chains," said Dep Min Mabuwa.